Statistics show that two in ten drivers are uninsured which means you have a twenty percent chance of being struck and injured by a driver without insurance. Uninsured Motorist coverage pays bodily injury damages caused by an accident which the insured is legally entitled to recover from the owner or operator of an Uninsured Motor Vehicle. Unless you have purchased Uninsured Motorist coverage, you will likely not be compensated for your injuries, damages, and other expenses. If you find yourself in this predicament, your option is to recover directly from the driver who, in all probability, does not have the money or assets to compensate you. In Missouri, Uninsured Motorist coverage is a requirement of all auto insurance policies. Missouri law even mandates Uninsured Motorist coverage for both hit-and run and “no contact” accidents. However, even if you have Uninsured Motorist coverage, the road ahead is not without complication because your relationship and role with your own insurance company changes. Your status changes from a valued customer with an auto accident claim to an unreasonable claimant demanding funds that affect their all-important profit margin. The once helpful and cooperative insurance adjuster reverses roles from someone helping you to someone whose primary goal is to protect the insurance company’s interests by minimizing the amount of your compensation. Even though you exercised wise foresight in purchasing Uninsured Motorist coverage, you still need the protection of an experienced aggressive auto accident attorney to receive maximum compensation because your insurance company has now become your adversary. And rest assured they will have experienced aggressive professionals working on their side to minimize your compensation. But relax because, I GOT YOU!!! Under-Insured Motorist coverage is designed to step in if the responsible party does not have enough insurance coverage to fully compensate you for your injuries and other damages. 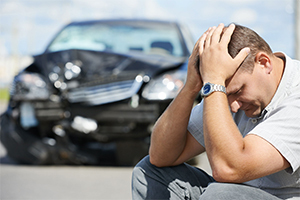 Even though Under-Insured Motorist coverage is designed to fill the gap between the per person policy limit and the larger amount of your actual damages, you will eventually find yourself in an adversarial position with your insurance company and in need of an experienced attorney because you will want to be fully compensated for your injuries. On the other hand your insurance company will aggressively seek to minimize the amount they have to pay. Wrongful Death and Survival actions can also be brought in an uninsured or under-insured motorist scenario to compensate the estate and/or survivors. If you or your loved one has been injured in an automobile accident with an uninsured or under-insured motorist, the legal professionals here at the Law Offices of Roderick C. White are here to ensure that your legal rights are protected.